A high-quality tri-folded velour golf towel featuring a stylish chrome eye and cleat, theses make a truly special gift. 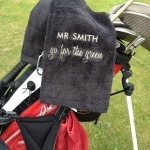 The golf towel is available in a choice of colours. 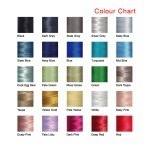 We have a wide range of colours available for the embroidery. 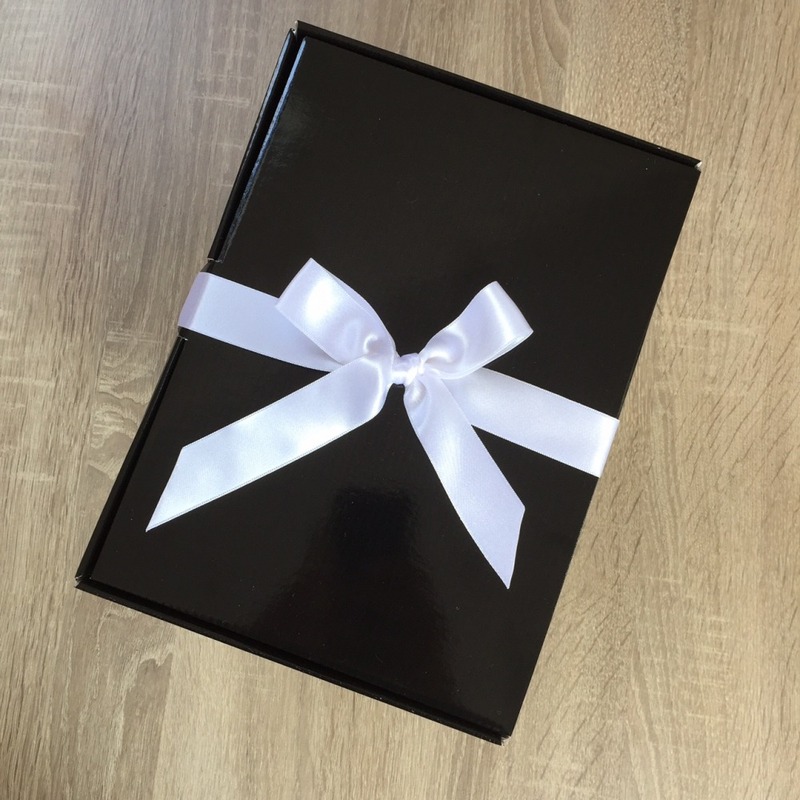 The first line of lettering uses a modern font in capital letters, a name has been used in the example, however the possibilities are endless – why not use a greeting, name or date to mark a special occasion. The second line of lettering is for the slogan as shown, or for a slogan of your choice and will be embroidered in stylish lettering. This towel also makes a great kitchen towel. 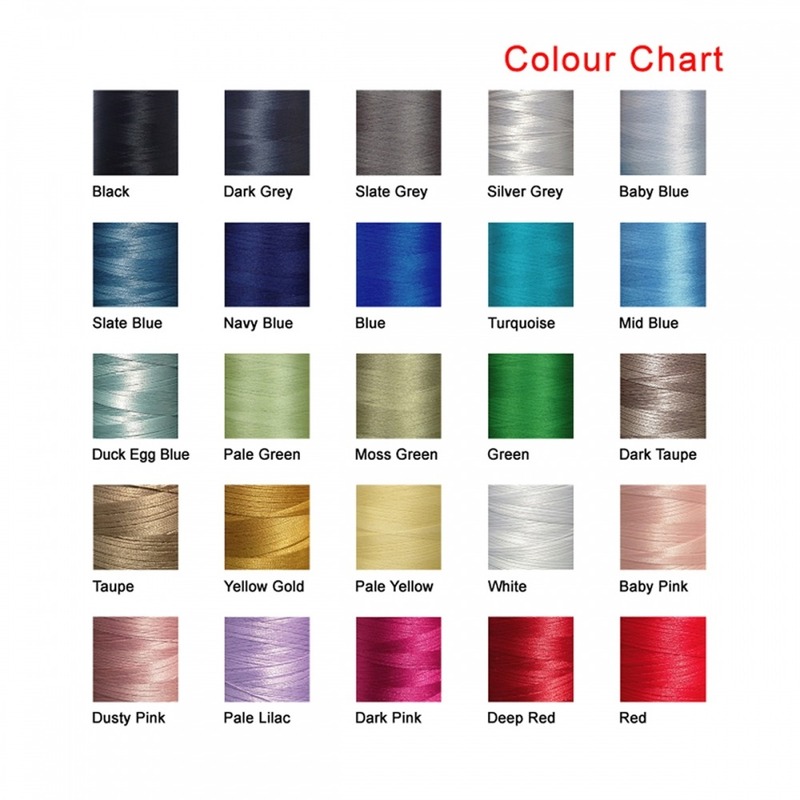 While selecting towel and embroidery colour, please note for the best legibility a contrast in colour of embroidery and towel is more successful. The golf towel is made from a heavyweight 100% Cotton velour, 590gsm so is very hard wearing. The towel is also extremely absorbent.